1. Will you be hosting any house guests between now and the end of December? Does that thought make you happy or crazy? Do you do anything special for your guests to make them feel at home? How long should a house guest stay? No, we don't have any out of town guests. The thought of it makes me CRAZY! Too much commotion going on during the holiday season. The very idea of trying to entertain guests on top of that... SCREAM!! 2. Walter Elias Disney was born this week (December 5) back in 1905 ...what's your all time favorite Disney movie? Here's a list in case you're struggling...and yes, you have to pick one. As a child, I loved Cinderella. When my boys were growing up, Toy Story. Currently, with the children I have in my childcare, I would say Tangled. 3. What was the last thing you purchased that you realized was a mistake after the fact? 5. Amaryllis-snowdrop-poinsettia...your favorite winter blossom? Poinsettia. I fill my house with them. 6. What is one thing on your personal Christmas wish list? I think we all want peace on earth so let's make this answer an actual item. VACATION!!! I so desperately need one!! Did you ever wonder why Elmers Glue does not stick to the inside of the bottle? Head over to Joyce http://joyce-fromthissideofthepond.blogspot.com/ to check out Wednesday Hodgepodge. Smart boys....Katelyn did the same thing...she created wish list every where. So much easier to get what they what. I hope you get your Mac....I really want an ipad my hubby just laughed...rude uh!! I don't think I will get the mac, but hey! it's a good dream! Having personally seen how tiny you are Tami I CANNOT BELIEVE your husband said ANYTHING makes you look "bigger than you are" What am I missing???? 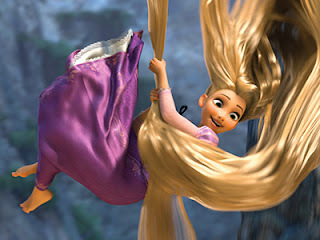 And...I love Tangled too! Cute movie. My in-law family does that. For everyone. They tell you what you're buying, which I find so sad. I'm fine with them asking what TYPES of things my kids may like, but a detailed list for me and for everyone? Or my sister in law who tells you what you're buying her? It's just not Christmas to me. I like the surprises! And oddly, I'm sort of ok with no presents really. There's nothing I REALLY want (other than an Epiphanie bag, which is hugely expensive). Oh believe me, I'm still shopping too! The wrapped gifts under my tree are from my mom : ) We have started talking about a spring trip...I love to have something to look forward to and I have a daughter graduating from university so we try to take a little family trip right after...grown up girls make family vacations trickier to organize. Love this and all your answers. Shame on your husband for chiding you about the dress. I would have worn it anyway. LOL Except for one daughter close by, our family lives on opposite coasts. No one visiting us for holiday. Our daughter has to work, so we'll celebrate with her the week before. Santa is full of wonderful surprise, maybe a Mac is in his bag for you. Whatever you get, I am sure you'll be happy. Take care. My son does the same thing! Hope you get your Mac! *Gasp* That has to be the worst thing, to look "bigger" than you are! I have found that many things that are in style, on MY body, just make me look like I'm expecting! I'm OK with looking like that if I really am, but if I am not? No thank you! And if Hubs says something, eek!